With the Government announcing its annual spring budget recently, setting out its plans for the country’s economic future, is it time you started thinking about your own spring budget and planning for your next car? If you’re considering buying a new car in the next few months, it’s a good idea to start looking at your current finances to give you a clearer idea of what you can afford – especially if you’re looking at monthly payments, either through car finance or a loan. 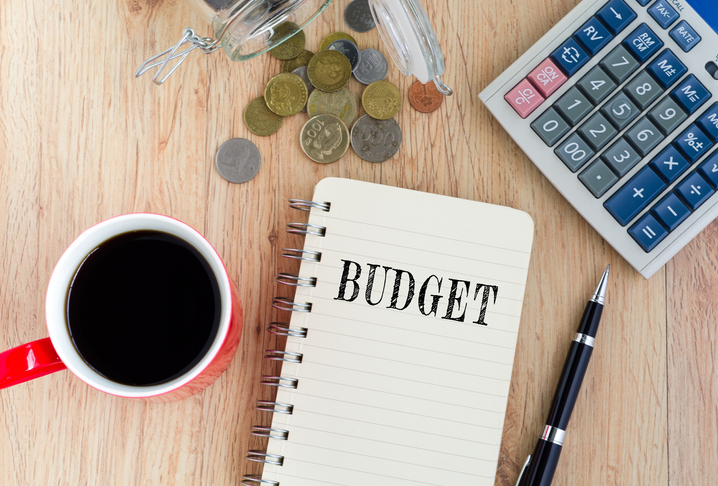 Here are some things to consider when planning out your budget. If you’re currently a car owner and looking to upgrade, either in price, style or both, it’s important to have a look at what your current motoring outgoings are. This doesn’t just mean the actual cost of the car, maybe you have a monthly finance payment, but also the cost for upkeep. Such as petrol, insurance, road tax, servicing and repairs and even parking costs. Are there areas where you could look to save some money? Can you look at cars with low or even zero road tax? It’s worth looking at these areas and seeing if you can make some smart savings without compromising on your car choice. Do you own your current car outright? If so, depending on its age and condition, it might be worth some money as a deposit on a newer model. At the same time as doing your research for your new car you should get some quotes for your current model as either a part exchange towards a new car or as a private sale which you could use as part of a deposit. If you don’t own the car outright and maybe have some finance left to pay, contact the finance company for your settlement figure as you’ll need to take this into consideration when looking for a new car. Motoring costs can take up a big chunk of our monthly outgoings, along with our mortgage or rent, food shopping, bills and nights out! So, when you’re planning the budget for your next car, it’s important to factor in all your non-motoring bills. There’s no point in stretching your budget for that souped-up sports car when you don’t have enough money left over to fill the fridge, never mind fill the tank! If you’re shopping for your first car it’s easy to get carried away and want your dream car instantly, but it’s important to be realistic. There’s plenty of years ahead to build up to that dream roadster. We’re all for living in the moment but when it comes to planning your budget, it’s a good thing to think of your future and any big changes that you’re planning. Are you vying for the big promotion which means a move to the big city? Or are you thinking of expanding your family, or even buying a house? For many, when buying a new car, it means monthly payments in the form of car finance, bank loan or credit card, which also means you’re agreeing to pay that amount for a fixed term, normally over a few years. So, if you’ve got other big plans in the next couple of years, it’s worth taking these into consideration. Is that 2-seater roadster a good idea when planning a family? Will that luxury SUV be worth it when you’ll be using your bus pass Monday to Friday? Or does that new job come with a company car? Remember your car is your source of freedom, independence and ultimately fun. So, don’t tie yourself down with extra bills and outgoings that spoil the enjoyment of hitting the open road! Budget sorted and ready to start your search for your next car? Browse over 200,000 cars in stock from trusted dealers throughout the UK at Exchange and Mart and s1cars. Deal or no deal? What does Brexit mean for the UK car industry? With the continuing uncertainty that surrounds the Brexit issue, there is one thing that stands out – uncertainly is not good for the motoring industry. With many manufacturers voicing their concerns and even withdrawing production from the UK altogether, can change be good? And, ultimately, where will this all end? When is it time to change your car? A car for many is a huge investment, both financially but also in terms of the time it takes to do your research, test drive and mull over signing on the dotted line or handing the cash over. Which is why changing your car happens every few years – or longer! When to get the best car deal When thinking about buying a car, it’s only natural that we want the best deal for our money. But choosing the right time to buy your car can be just as important as perfecting your negotiation skills.